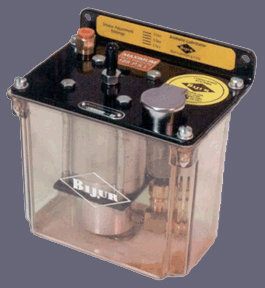 The Bijur Airmatic lubricator requires shop air to distribute oil. Three different type models are available (SLR, PDI, and SLP). All discharge between (2~10cc). The pump comes with either a (1.5, 4 or 12 liter reservoir).